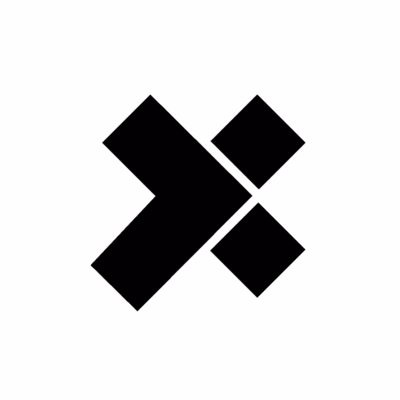 We’re a league of superhero remote developers here at X-Team. And as much as we love #unleashing the best in ourselves, leveling up and reaching our potential is pretty difficult without a full health bar. We’ve asked the most fit X-Team superheroes to tell us their secrets to a happier and healthier life as a remote developer, and they were kind enough to share 8 tips to get you on track. Enjoy. There’s no excuse to not start being more active while working from home. You have flexibility in your schedule, so use it to get healthier! Great app for a continuous 7-minute workout. You’ll do a series of exercises for 7 minutes straight and by the end of it, you’ll feel like you got a good workout. After you build up strength, start doing a round multiple times per day. DareBee is workouts for geeks. You can choose from many workout plans. Of course, our favorite one is “The Superhero”. 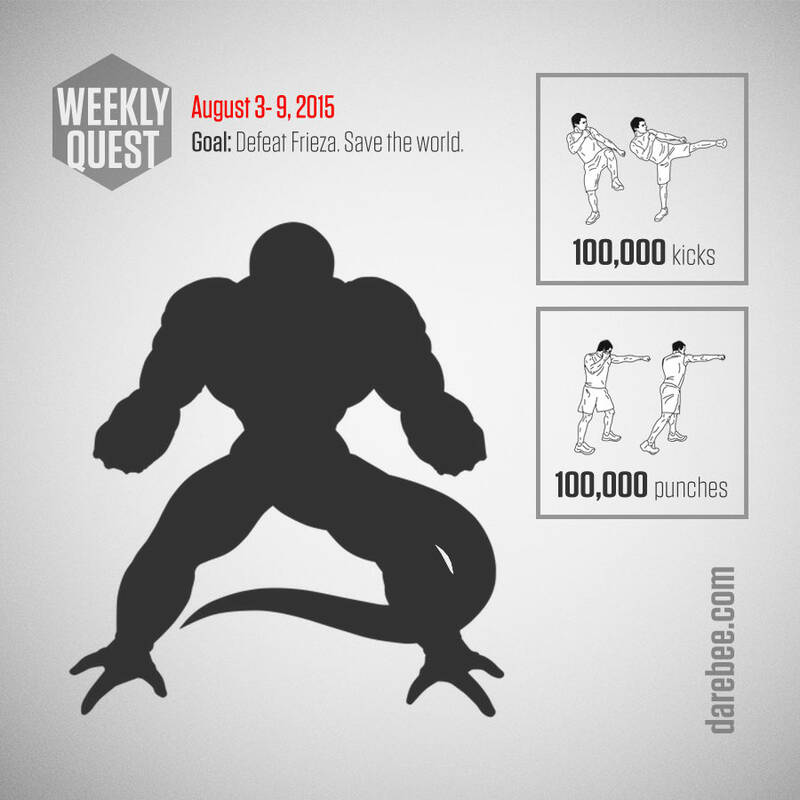 DareBee also has awesome ‘Weekly Quests’ where you can join the community and help defeat monsters. If you’re a geek, you have to check this out to see what I mean. Add more steps to your daily walk. Physical activity is a key factor to a better health. For those of you without the power of flight, the most natural way to do this is by walking. There’s a rule of thumb that you should walk some 10,000 steps a day. Although this is not an official recommendation, the Centers for Disease Control and Prevention agree that an average of 7,000 to 8,000 steps will contribute to a healthier life. The idea is to just keep walking, because working from home can lead to a more sedentary lifestyle. X-Team power tip: Use the native iOS Health app (it’s already tracking your steps whether you know it or not) or Noom on Android to keep track of your steps. Admit it, you stare at this screen a lot. Like, a lot. It can lead to headaches or blurred vision. You can’t code without healthy eyes, so take care of them. Blink regularly and remember the 20-20-20 rule: look 20 feet away for 20 seconds every 20 minutes to give your eye muscles a break. Also: Your monitor should be at least 16 inches away from your eyes, in order to keep a proper posture and suffer from less fatigue. 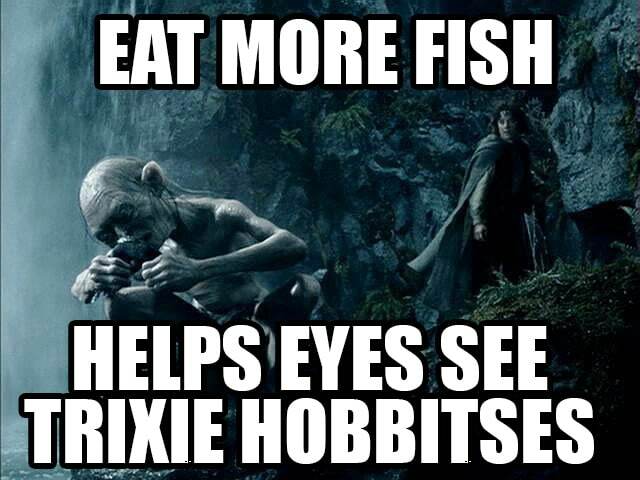 X-Team power tip: Eat more fish, especially if you have dry eyes! A new study on Nurse’s Health at Harvard Medical School indicates that dry eyes are a sign that the body is running low on Omega-3 fatty acids. Good sources of Omega-3 are salmon, sardines, herring and flaxseeds. It’s time you learn how to breathe. Try this: Go look in the mirror. If you see your chest expanding while inhaling, you’re breathing wrong. You need to learn to breathe through your diaphragm. You can be sure you’re doing it right if you notice your belly widening with each breath. It is also important to take slow, deep breaths. This way, your overall health will improve, because correct breathing plays a major role in the health of your heart, boosts concentration and relieves a lot of the stress in your body. X-Team power tip: A normal breath rate consist of 10-12 breaths per minute. You could use an app like BreathPacer to track your respiratory rate. Your body’s sleep cycle is regulated by something called the circadian rhythm, a series of biological processes which follow a 24-hour pattern. This makes your body react to light and darkness, telling you whether it’s time for sleep or not. In order to have a good night’s sleep, it is important to keep your internal clock set at a consistent schedule, trying to go to bed and wake up at the same time every day. Try to follow this routine as closely as possible. Even if you didn’t sleep all that well last night, don’t assume you have to oversleep; the accumulated sleep drive will be converted into a really restful sleep, the night after. If you have to take a nap, be sure to do it before 5 PM. Otherwise, you may have a hard time falling asleep during the night. Room temperature is another key factor. Studies have shown that a temperature of about 66 degrees is just right to get you that feeling of coziness for a perfect sleep. ## Be aware of your caffeine intake. Did you know that it is considered safe for a human being to consume 400 milligrams of caffeine a day? This is the equivalent of 4 cups of brewed coffee, 10 cans of Coke, or five 8 fl. oz. Red Bulls. Going above this limit can cause insomnia, nervousness, an upset stomach, an increased heart rate and even muscle tremors. Moreover, a caffeine dose of 20-40 mg/kg bodyweight is considered toxic and should never be consumed. So, be careful how much coffee you drink! Remember that decaf coffee isn’t 100% caffeine free either. Nor is chocolate, for that matter. You might find yourself increasing the caffeine dose because your body gets used to it. If that happens and caffeine doesn’t keep you awake any more, then you can use this trick: take a break from caffeine every month, for about a week. After that, you ought to notice that even smaller doses will be enough to keep you going. X-Team power tip: If you are curious about caffeine levels in chocolate, coffee or tea, you can use this website to do the research. A full water tank at all times. Humans cannot live without water. Even superheroes need to remember their human traits and never neglect what their bodies need more. Sitting in front of complicated lines of code can lead you to forget to drink water. A lot of times you are not even aware of being thirsty. Did you know that sometimes your craving for salty snacks might actually be your body telling you it’s dehydrated? It helps to keep in mind that in order to stay hydrated, the Institute of Medicine suggests that women should drink about 9 glasses of water a day, while men need up to 13 daily glasses, whereas a glass in measured as 8 ounces. This should be the norm, not the exception. X-Team power tip: If you are committed to drinking more water, a very useful app that helps you remember to drink water is Randomly RemindMe for Android or Alarmed for iOS. Don’t cut down on snacking, just snacks. Working from home, you may find yourself munching on treats laying around with lots of sugar. Unfortunately, that doesn’t really do much in the way of quenching our appetite and we find ourselves hungry again in no time. Instead of going for the sugar rush, try high protein snacks, like high-protein oatmeal cookies, fruits and protein blueberry muffins. They will help you feel full for a longer time and even improve your mood. Another good idea is to set up a snack bowl, with some healthy snacks. Instead of ripping open that bag of chips, have some ready to eat raw nuts, homemade protein bars and plain Greek yogurt on hand. And remember, when cooking, replace your sugar with stevia, which is a calorie-free alternative. X-Team power tip: You can keep a diary of your macronutrients intake using the MyFitnessPal app or website. **Bonus tip: **When you’re in need of a healthy reminder, just crank up this song and remember: Superdooperfoodalicious – eating healthy is nutritious! 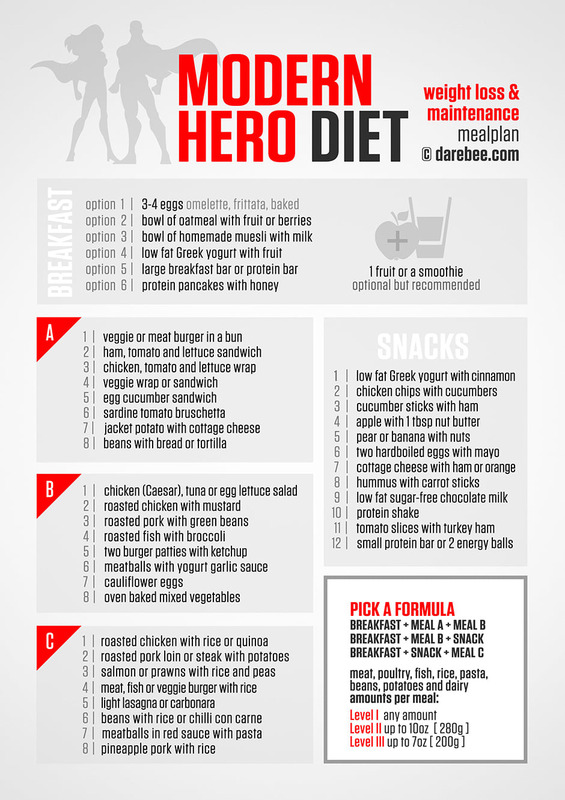 Double bonus tip: The Modern Hero Diet from DareBee! Being a superhero remote developer starts with your health. You have to stay fit in order to save the world through the power of code. Form these healthy habits and prove to the world that the age-old belief that working from home turns you into a couch potato is so passé. X-Teamers Ryan Chartrand & Kamil Ogorek contributed to this post.